Foreign Policy, a United States-based magazine has placed 15-year-old Pakistani child rights activist Malala Yousafzai in its top 100 Global Thinkers list. 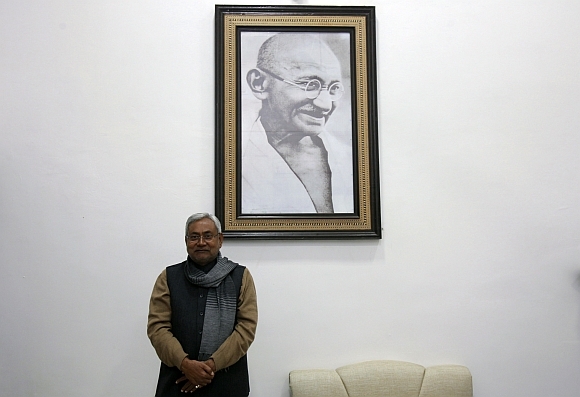 Chief Minister Bihar Nitish Kumar is the most prominent Indian in a list of 100 top global thinkers for 2012 compiled by the Foreign Policy magazine. According to the magazine, "Like Haiti, Somalia, and Mississippi, India's Bihar state has been called many unflattering names; it's often referred to as the country's 'bleakest state' and the 'jungle Raj' for its colonial levels of poverty and corruption. Many viewed it as one of the most dysfunctional corners of a country world famous for government dysfunction." Much of that began to change, however, when a low-key bureaucrat from a local center-left party, Nitish Kumar, won the 2005 election and set out to clean up a wasteland where 100 million people are squeezed into a territory smaller than Arkansas. In his two terms in office, he has done just that, relying on an array of innovative programs to crack down on crime, shame corrupt public officials, and boost economic development. In addition to setting up a special fast-track court system to move trials along more quickly, Kumar's administration has offered cash rewards to whistleblowers and has broadcast bribery complaints on YouTube," says the magazine. Nitish features no 77 on the list. According to Foreign Policy, "The Taliban's most fearsome enemy in Pakistan isn't U.S. drones or the military's tanks: It's a 15-year-old schoolgirl. 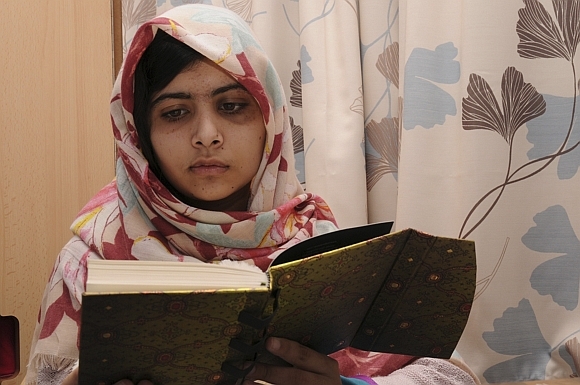 Malala Yousafzai's tool of defiance? Her own bravery in speaking out for the simple idea that girls should have access to the same education as boys." "It's a lesson in courage that is inspiring others to stand up to the forces of barbarism in their midst. Too bad it took a tragedy to do it," says Foreign Policy. According to Foreign Policy, "This 74-year-old Gandhi devotee has been railing against government corruption since his days as a rural organizer decades ago, but in 2011, when a series of high-profile scandals reached the highest levels of India's ruling Congress party, his message finally seemed to resonate. 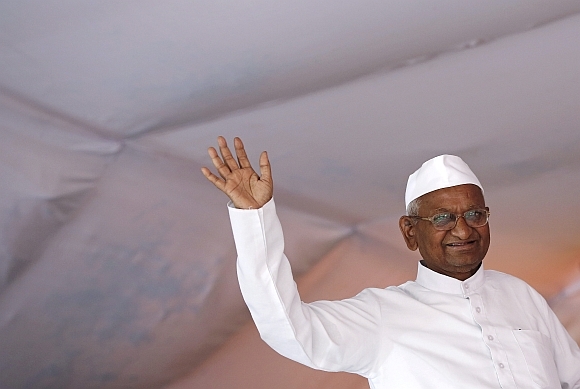 Twice this year, Anna Hazare went on a hunger strike in New Delhi to demand tough legislation that would create a powerful new government anti-corruption watchdog,"
"When the soft-spoken Hazare was arrested in August, tens of thousands of his supporters took to the streets throughout the country, bringing government to a standstill. Finally, the Indian Parliament agreed to debate his ideas, and Hazare ended his fast," the magazine says. According to Foreign Policy, "More than two decades before U.S. embassies throughout the Middle East were overrun by rioters angry about a crude anti-Islamic video and more than a decade before the 9/11 attacks, Salman Rushdie received the phone call that changed his life forever when a BBC reporter asked him, "How does it feel to know that you have just been sentenced to death by Ayatollah Khomeini?" 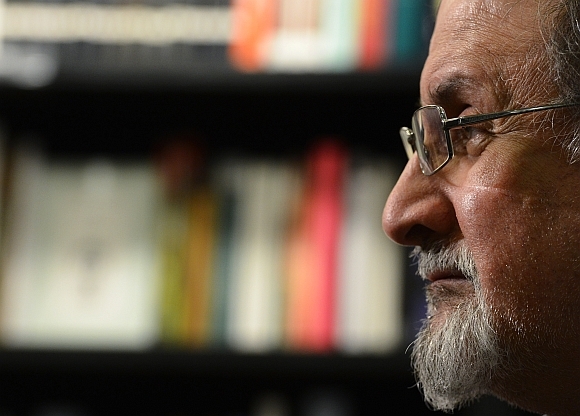 "Through it all, Rushdie has continued to make a powerfully personal case for freedom of expression, writing that the fatwa was a violent attack not on the novel in general, or on free speech per se, but on a particular accumulation of words, and on the intentions and integrity and ability of the writer who had put those words together," says the magazine. 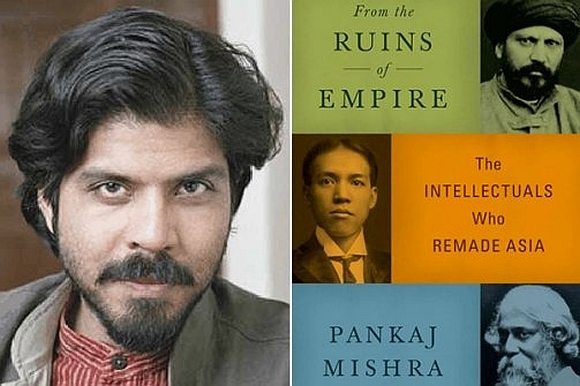 According to Foreign Policy, "Mishra, an Indian-born novelist and essayist, offers the rare ability to write both knowledgeably and critically about the continent of his birth -- and for a largely Western audience. At his day job, he pens columns for Bloomberg View on Asia's shifting role in today's geopolitical climate. In From the Ruins of Empire (his book), he looks back at the late 19th and early 20th centuries, when much of Asia was still wrestling with the ideological influence of its colonisers," says the magazine. 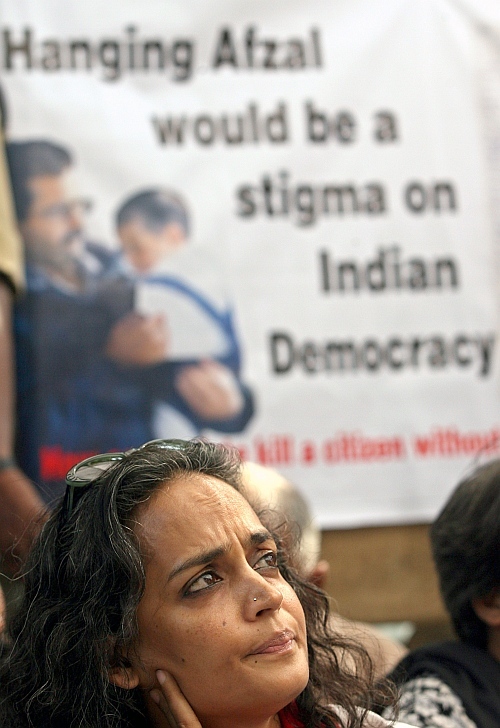 According to Foreign Policy, "A passionate critic of Hindu nationalism and India's nuclear and Kashmir policies, Roy pushed one too many buttons with Prime Minister Manmohan Singh's administration last year by visiting a training camp run by Maoist guerrillas." "The government clamped down, threatening pro-rebel activists with jail time. Undeterred, Roy published a short book of essays on the Maoists, Walking with the Comrades -- so far staying out of jail in spite of doing so -- and made similarly incendiary visits to Kashmir to protest the Indian military campaign there. 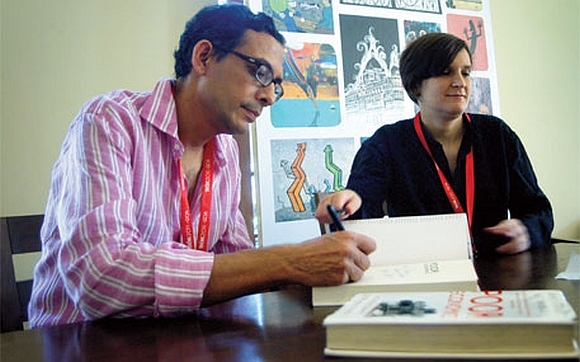 According to Foreign Policy, "Within the world of development economics, Abhijit Banerjee and Esther Duflo are known as the 'randomistas' for eschewing grandiose solutions to eradicate poverty in favor of randomised field trials. "In their book this year, Poor Economics, Banerjee and Duflo argue that hunger is not solely the result of being unable to afford enough food. Just like every other consumer on the planet, they found, the world's poor purchase goods based on the human desire for short-term pleasure over long-term gain," says the magazine. 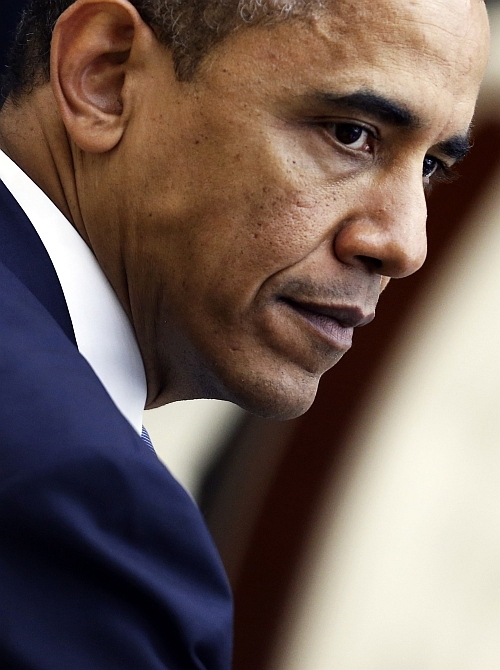 According to Foreign Policy, "As the Arab Spring remade the region in 2011, Obama adapted as both American values and interests demanded. When protests in Cairo reached a fever pitch, he cast aside the caution of his advisors and unambiguously told Egyptian President Hosni Mubarak, a 30-year American ally, that it was time to go." "And, of course, his gutsy call to order a risky commando raid deep inside Pakistan, which resulted in the killing of Osama bin Laden, may be the one decision that all Americans can agree was the right one," says the magazine. According to Foreign Policy, "The Clintons are nothing if not the ultimate survivors. Nearly two decades after they burst onto the national stage, they are still dominating it, with Hillary mounting an extraordinary comeback to the extent that she now polls as America's most admired political figure, while Bill virtually runs a parallel United Nations from his Manhattan offices." 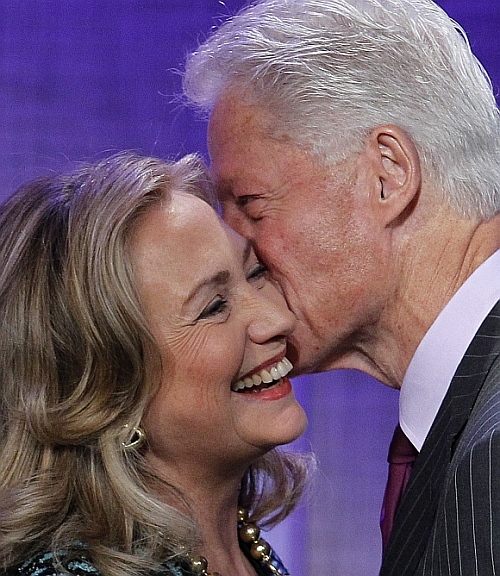 "Both Clintons offer something unusual in world politics: their trademark optimism. At this year's Clinton Global Initiative, Bill described as a 'no-brainer' a plan to create 1 too good to be true, they are," he said. "They aren't here." Hillary, meanwhile, cheered the rise of participatory democracy: 'We really are in a new age'," says the magazine. According to Foreign Policy, "For nearly 20 years, dissident Aung San Suu Kyi was sealed under house arrest by Burma's paranoid military junta, which had drawn an iron curtain over the country since 1962. Now she's a duly elected member of the country's parliament -- and it's partly thanks to reformist President Thein Sein, a former general often described as an awkward, bookish bureaucrat." "Aung San Suu Kyi, the soft-spoken, iconic political activist whom devotees call simply 'the Lady', may not seem like an obvious partner for Thein Sein, but she has become one by doing what few legends of her stature can: embracing the messy pragmatism of politics," says Foreign Policy.